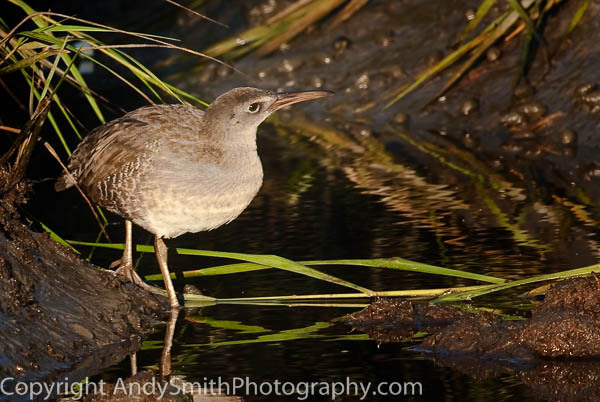 Common locally along the entire East coast of the US and the southern part of the West coast, the Clapper Rail, Rallus longirostris, is often solitary but can be found at high densities. It is always present but most likely seen at low tide on the mud banks. This one is in the marsh at Cape May, New Jersey, photographed on a marsh trip on the Skimmer.